Just let us know a few things about you before we can start. 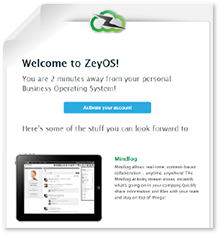 You will instantly get access to your own ZeyOS Workspace via E-Mail. Give your ZeyOS workspace a name! The name should have between 3 and 20 character. We are now ready to create your ZeyOS workspace! Check your data and click "Finish" to create your Workspace! I hereby accept the Standard Business Terms of ZeyOS, Inc. as well as the Terms of Service and the Privacy and Contribution Policy. Sorry, the captcha code you entered is invalid. Please try again. 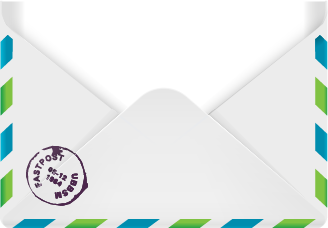 We have sent an activation link to your e-mail address. Now it's time to get serious! If you have any questions or you need help, please go to our support page to check the documentation or to open a support ticket.